With a oil drill site located right on Jefferson Blvd in the heart of the NANDC district, we believe our community might be interested in attending an event sponsored by STAND-LA. 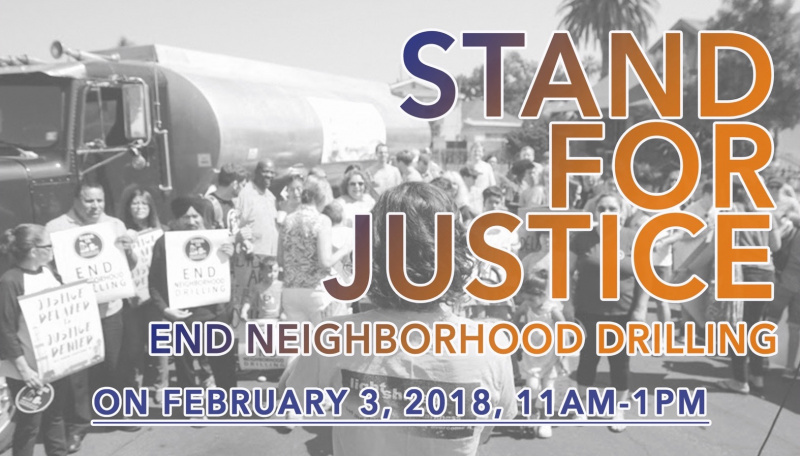 The event, "Stand for Justice," will take place on February 3, 2018 from 11am-1pm at St. Paul's Lutheran Church, 3901 West Adms Blvd. Learn about the health and enviornmental impacts of drilling in your neighborhood. Meet neighbors from around LA who are fighting oil drilling in their backyards. Get involved in the STAND-LA campaign for enviornmental justice.